Give your bathroom a modern edge with the incredibly good looking Living Wall/Pedestal Basin. It is available in a sleek and trendy design and will transform any bathroom into a contemporary space. What is more, it is ideal for installation as a wall or pedestal basin in small to medium sized bathrooms. The Living Wall/Pedestal Basin measures 450x500mm in dimensions and includes a 32mm waste outlet. 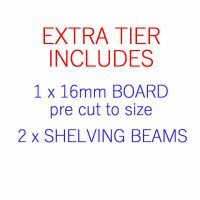 It can be matched with a pedestal or shroud or it can be installed as a wall mounted unit. 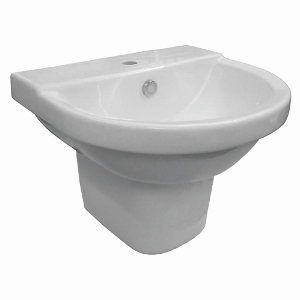 This bathroom basin comes equipped with 1 tap hole and includes a very useful broad and flat soap platform area. It may be compact in size, but it offers a generous bowl capacity of 5.2L. The Living Wall/Pedestal Basin is manufactured using high quality vitreous china. 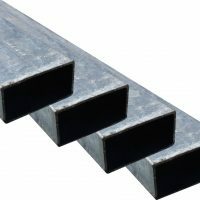 As such, it is a superior grade product which is sturdy, reliable and built to last. Rest assure the Living Wall/Pedestal Basin will give your bathroom an all-new look! Buy this product at an incredibly affordable price from our online store and take advantage of free delivery all across Perth Metro.